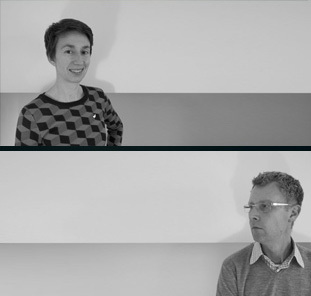 Cooper Scaife Architects pursue design excellence as a regional Victorian practice. The firm is led by Daniel Cooper and Bianca Scaife and is supported by a dedicated team of professional staff who bring a broad range of skills to every project. Both Daniel and Bianca studied architecture at RMIT, graduating with first class honours. Prior to entering private practice, they spent a number of years working for design offices in Melbourne and the Netherlands. Since its establishment in 2003 the range and scale of work undertaken by CSA has grown to include new houses, alterations to heritage homes, commercial, municipal, education and health facilities. Every design is different. Our buildings are informed by the unique characteristics of our clients’ brief and the places they inhabit. We take a strategic approach to design and this informs decisions throughout the project, from the ‘big picture’ through to the smallest details. Our buildings are deceptively simple. In pursuing simplicity, we strive for highly resolved architecture that celebrates the richness of buildings, their surroundings and invites habitation. Our approach is collaborative. We forge close relationships and work in partnership with our clients to achieve their goals. Above all else, we seek to build places that elevate the enjoyment of everyday life. Environmentally sustainable design is a strong focus of the practice. Every project incorporates the principles of passive thermal design. We use quality local materials wherever possible to enrich our projects with a strong connection to their region. Cooper Scaife Architects is a member of the Association of Consulting Architects. Cooper Scaife Architects is a registered architectural company in Victoria. The company and its directors are also members of Architeam Cooperative.